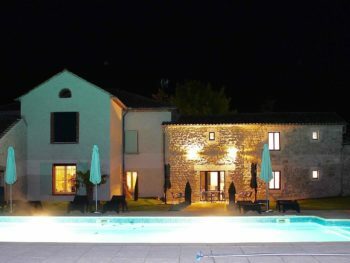 Aux Vents d’Anges is situated between the three main tourist destinations in the Tarn — Albi with its magnificent cathedral, the medieval bastide village of Cordes sur Ciel and the historic wine town of Gaillac. The four stylish and comfortable rooms at Aux Vents d'Anges are ranked four star and offer every modern convenience, from large double beds to TV and wi-fi, while retaining all the charm and character of a historic 18th century wine domaine. The Aux Vents d'Anges estate, once surrounded by vines, has been passed down from generation to generation since the 18th century. Now, after extensive restoration, Carine and Francis invite you to enjoy this delightful chambres d'hôtes. 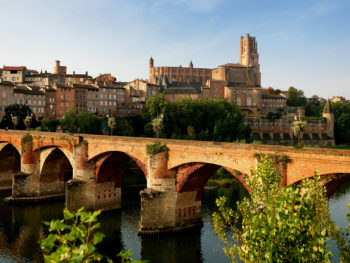 Discover the Tarn, from the medieval bastide towns of Cordes sur Ciel, Puycelci and Castelnau-de-Montmiral to the UNESCO world heritage sites of Albi, from markets and wineries to the Natural Regional Parc of the Haut-Languedoc, and more.